The project was a EU funded development project managed by a project Consortium led by EDPR. 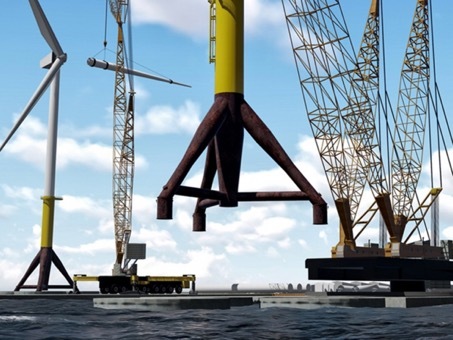 The goal of the project is to implement and demonstrate an innovative hybrid steel-concrete, self-buoyant gravity based foundation (GBF) for offshore wind farms. The prototype will be installed outside Portugal in the summer 2017. The partner role of Global Maritime was to provide expertise following disciplines: structural engineering, hydrodynamics, marine operations, project risk management and facilitation and all Risk & Safety workshops.